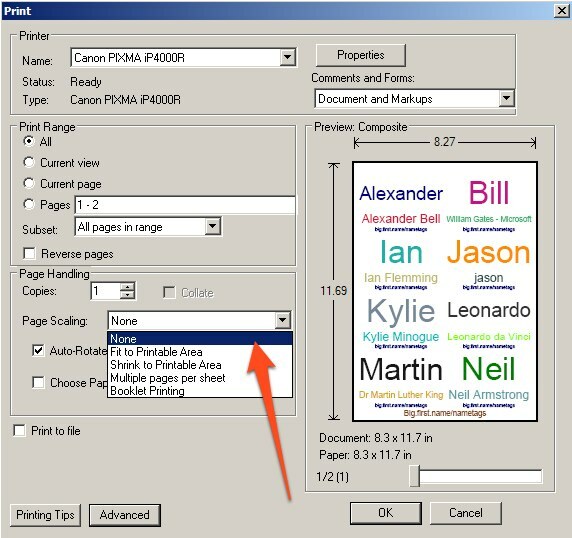 Big.first.name - Having alignment problems when you print? Having alignment problems when you print? When printing out your nametags and name badges it sometimes can be hard to align the printer correctly. Printing on plain paper first can help your with this. It's important to check that the print settings on your computer isn't scaling the print job up or down in size. 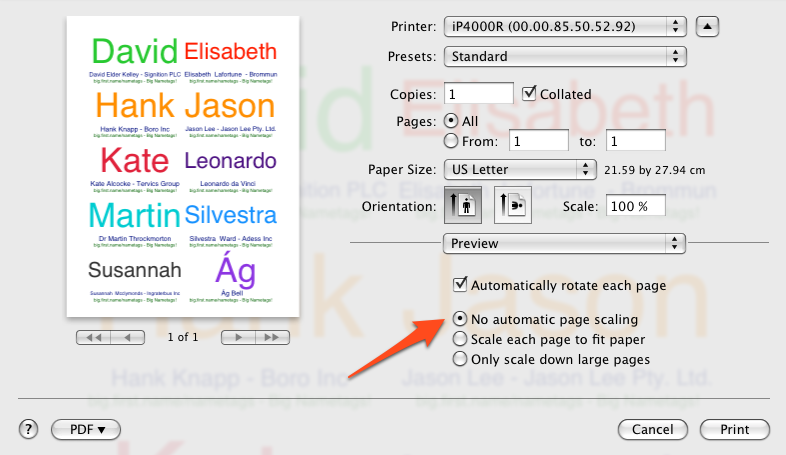 Check that Page Scaling is set to "None" (and not say "Shrink to Printable Area").